Reality TV for a Cause is a new concept showing promise in Kenya. It is bringing Smart Food—food that is good for you, the planet, and the farmer—back into popularity. 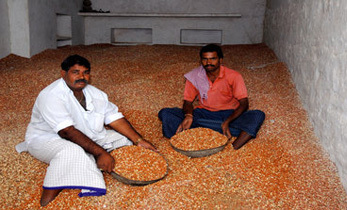 It is making eating millets, sorghum, and legumes like groundnut, green gram, cowpea, and pigeonpea exciting for eaters and cooks across the country. 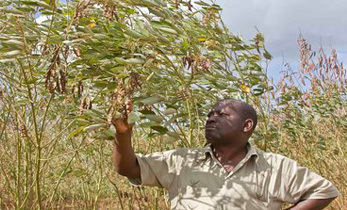 The first Smart Food TV Show has premiered—an innovative cooking competition created to promote awareness, consumption, and value chain development of nutritious, drought-resistant Smart Food grains in Kenya, supported by the International Crops Research Institute of the Semi-Arid Tropics (ICRISAT). 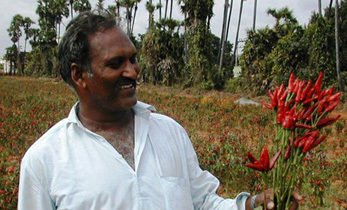 To compete for the title of Smart Chef, ICRISAT selected nine contestants, including college students and young chefs. Judges challenged contestants to produce creative, delicious, and healthy Smart Food meals with little time to prepare. 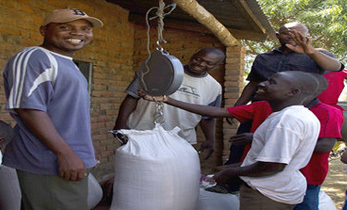 The first season’s champion, Esther Atieno, (pictured left), drew upon her catering, restaurant managing, and serving experience to design unique Smart Food dishes, including finger millet and green gram crepes, cowpeas and grilled rosemary duck, and sorghum and avocado bruschetta. Her winning meals won her a full scholarship to Strathmore University’s Professional Culinary Program in Nairobi, Kenya. 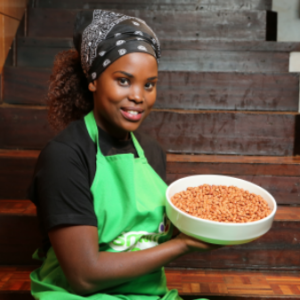 Participating in the Smart Food Reality TV Show allowed Atieno to fulfill her lifelong dream of studying the culinary arts and pursuing a professional cooking career. 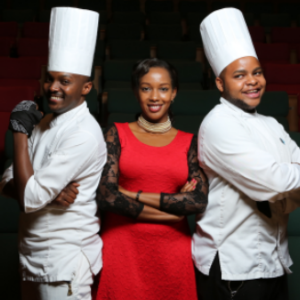 After the show, Atieno was approached to cater events and create diabetes-friendly meal plans centered around Smart Foods. Atieno plans to use her winning experience to spread awareness about healthy foods and education about Smart Food meals, starting with her family. After airing the show, a preliminary ICRISAT survey showed that Kenyan residents were buying and consuming more Smart Food grains. 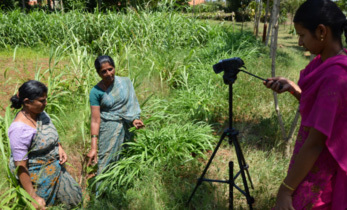 ICRISAT also surveyed local farmers, who saw an increase in sales for 5 out of the 7 Smart Food grains. The initial success of ICRISAT’s Smart Food Reality TV show suggests, according to Joanna Kane-Potaka, ICRISAT’s Director of External Relations and Strategic Marketing and Smart Food Executive Director, that innovative and entertaining approaches to healthy food education can engage, interest, and inform a wide range of people, both in Kenya and in other countries. Such initiatives can also make healthy food options more accessible and appealing to those who might not otherwise try them. 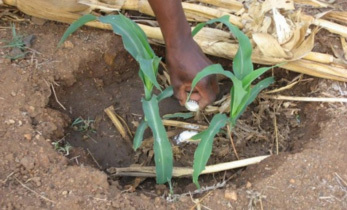 These methods may be especially important in the dryland regions of the world, where Smart Food grows well, yet malnutrition is common. Check out the Smart Food TV show trailer here, and view free online episodes of the Smart Food TV show’s first season here.